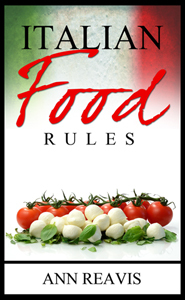 JUDY WITTS has published the 2,000th copy of her new cookbook SECRETS FROM MY TUSCAN KITCHEN. 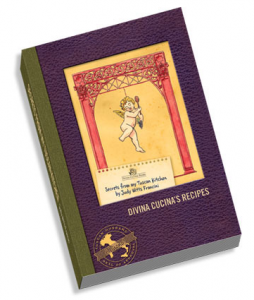 To celebrate 25 years in Italy, Judy Witts Francini of Divina Cucina self-published the collection of recipes she used for the past 20 years at her cooking school in Florence and wrote about in her blog Over a Tuscan Stove. The cookbook started out as a handwritten, spiral-bound, photocopied edition that she gave to her students. In 2008, she took the time to recreate it as a more permanent collection and developed a blog to go with it. There are almost one hundred of Judy’s favorite recipes, perfected in her classes and her home kitchen, in the pages of Secets From My Tuscan Kitchen . To order an autographed copy, you can use the link online. Paperback Exchange– Via delle Oche 4r. Paperback Exchange is also Tuscan Traveler’s favorite bookshop in Florence. 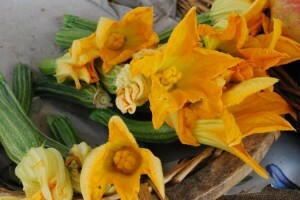 In the Central Market at Conti, the Conti family stand for olive oil, fruits,vegetables, balsamic vinegar, and more. Near the market at Casa del Vino, a wine bar that specializes in small select wineries. What might Judy be up to NEXT??? ?